If you're thinking about moving to Minnesota with your horse, you'll need to know all about the state and what you can expect, not just in terms of what types of horses are present, but also pertinent human facts such as: Who lives there? What's the weather like? Will you be able to find a job? What is there to do in Minnesota? This article will attempt to answer these questions for you so that you can decide if Minnesota is the right choice for you, your family, and your horse. 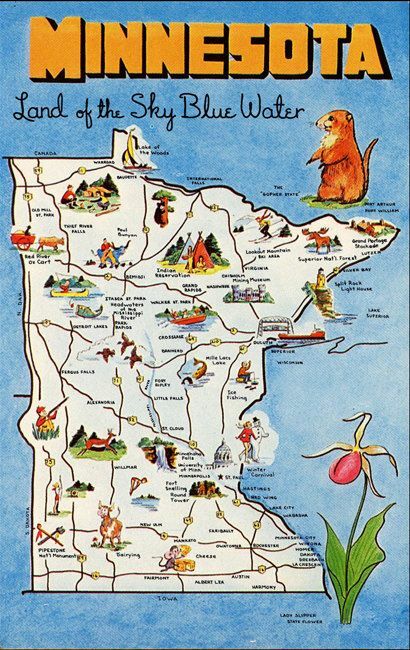 Minnesota is one of the most northernmost of the Midwestern states and it has a border on Lake Superior, which makes it similar in climate to the Canadian province of Ontario. Winters are snowy and cold, summers are warm and humid, falls are crisp and colorful, and springs are rainy and chill. There are a lot of lakes in this state, giving it the nickname Land of 10,000 Lakes. Therefore those from colder climates will find it very easy to get used to living in Minnesota. Like Ontario, Minnesota's population density is very low except for the areas around major cities. In fact, over 60% of state residents live in the vicinity of the Twin Cities of Minneapolis and St. Paul. Therefore if a career in real estate is your aim, you should resettle in the city, not the countryside. As a whole, the people of Minnesota are healthy, civic minded, open minded, literate, and of Scandinavian or German descent, though there are more African, Asian, and Hispanic peoples now than there were a few years ago. Minnesota is a beautiful state, and if you and your horse like to get out and explore, you couldn't ask for a better place to relocate. With four distinct ecological niches and thousands of kilometers of glaciated wilderness, outdoor activity is very popular, so pack your gear! There are more than 70 state parks and 50 state forests to explore along with hundreds of kilometers of lakes and rivers to paddle. Not all entertainment is outdoors, however. Minnesotans also love art, music, theater, literature, ice hockey, and other sports. In terms of income, Minnesota has one of the highest per capita incomes in the country. The unemployment rate is 6.7 and those who do not have a job waiting for them in one industry can find one in other industries like forestry, ore mining, agriculture, manufacturing, and technology. There are also numerous colleges and universities that offer career training and job opportunities in the field of education. In contrast to the industries of mining and forestry is the high level of environmental awareness and concern exhibited by Minnesota residents.